Thank you for visiting our website. We hope the information is helpful. We will continue to work hard to safely transport your children. 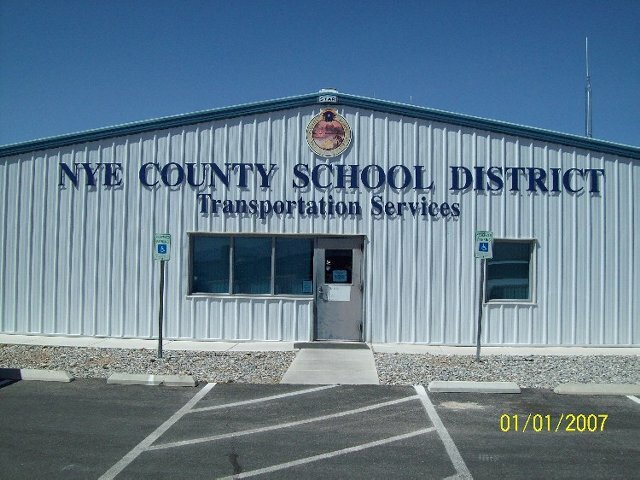 Nye County School District Transportation sits amidst a rural community surrounded by hills in the Pahrump Valley. We provide transportation throughout all of Nye County including the following communities: Amargosa, Beatty, Duckwater, Gabbs, Yomba, Tonopah, Smokey Valley and Pahrump. With a total of 102 busses, we travel approximately 1,302,120 miles per year. We also provide bussing for extra-curricular activities.